Student input helped to inform the strategic direction of the Leddy Library, says its dean Gwen Ebbett, and its focus on five key points. The library recently unveiled its plan, which dovetails with the objectives of the University’s plan, Thinking Forward … Taking Action. Enable an inviting and successful library experience. The library will strategically provide services and space, both in-person and virtual, to anticipate user needs on a foundation of service excellence. Expand upon the library’s role as a hub for research and learning activities. The library will grow as a vibrant focal point for the University and the local community. Take a leadership role in scholarly communication. The library will lead on providing services, initiating policy development and building awareness on campus in support of evolving means of scholarly communication. Support a culture of lifelong learning, skills development and customer service excellence for all library personnel. The library will provide an environment that encourages the pursuit of excellence to meet the rapidly evolving needs of user communities. To further enhance the reputation of the University of Windsor, the library will heighten awareness of its accomplishments, services and activities. 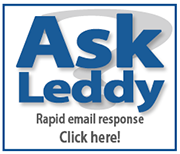 The entire plan is available on the Leddy’s Web site.